2、Candiates holding valid FCC license or CSCE please send photocopies along with your preregistration form. Please also bring your license or CSCE on test day. The VEC team will send confirmation/NCVEV form 605 to those candidates completed the preregistration. Please be advised, walk-in candidates might be refused to join the test session, depending on seats limitation. (1)、 mailing address in U.S. Please apply FRN before coming to the test session to facilitate the process. For candidates never apply FRN before, if possible, please include your FRN when you send your preregistration from. 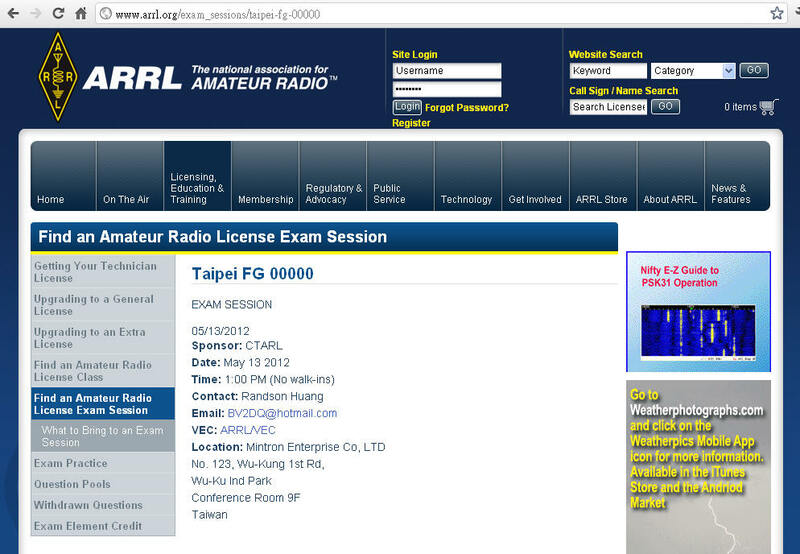 Staffs in the test session are accredited by ARRL VEC, and are deemed volunteers . The authority of this test session has no relationship between the groups/companies or providers of the location which those volunteers belong to. Question pool and reference can be downloaded from links listed below Candidates for Technician Class please notice that the new question pool will be used for test sessions after Jul/01/2010 Candidates can download either one (PDF, DOC, or TXT) from the question pool website.